We’re driving back from the NYC area to Western Jersey on Saturday late afternoon, just me and, then my RoZo sitting in the back. We’re jamming to some Rihanna, they’re telling endless stories, the sun is out…and we’re wearing shades, we’ve got a full tank of gas and a half a pack of cigarettes. Up on the right about a quarter of a mile ahead I see a car in flames, and the kids start screaming in the back. Anyways, since this isn’t the point of the story, I’ll speed this part up. 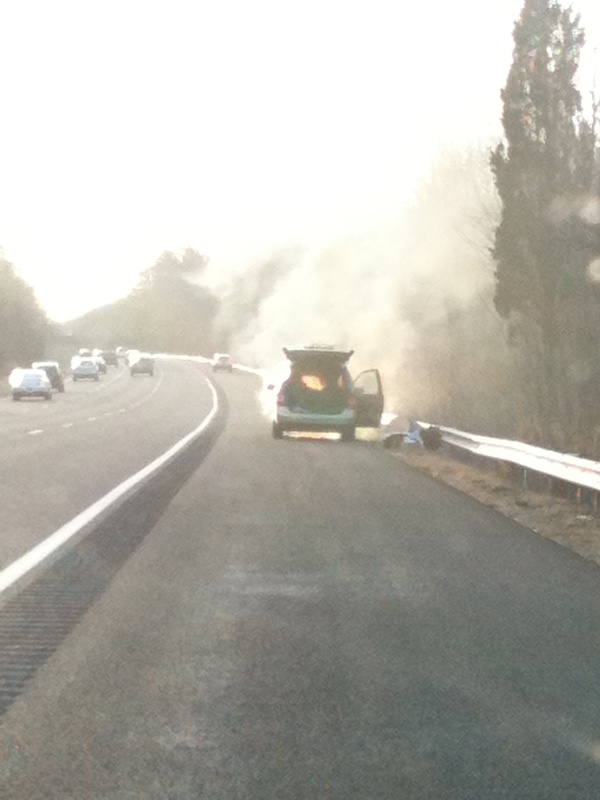 Car on fire. Family of four were already out, the mom was convulsing in tears (I wanted to give her a hug, but didn’t). The Dad, a gentle giant who spoke broken english sprinkled w/ Spanish words looked in shock. Car appeared like it was about to explode. Moved them a few hundred yards away. Called 911. Everyone shows up. End of story. So I walked around the car a few more times, realized the authorities were going to take care of him. Got in the car. Knew I was supposed to give him my jacket. Almost got out to give it to him. Put the car in drive. Then park. Rethought it again. Back in drive, thinking this is absurd that I don’t need to give a guy my coat that I just bought, who I stopped to help (amongst many many people who just kept driving by). I did my deed, I thought. I did what really mattered. And, nearly one week later, after having thought about this all week, I realize I didn’t do my deed at all. I was supposed to give him the coat off my back. Instead, I was selfish, hard of hearing, and logical. When I should have been abundant, intuitive, and irrational.